The Appellate Court presided by Judge Anthony Ellul turned down an appeal by Labour apparatchik Aaron Farrugia who had been condemned by a lower court to pay Peter Caruana Galizia, Andrew Borg Cardona and the heirs of Daphne Caruana Galizia damages for libel. Aaron Farrugia posted on his Facebook and Twitter accounts a lie published earlier by the Labour Party’s Kullħadd that said Daphne Caruana Galizia’s husband Peter and his law office partner Andrew Borg Cardona were given a direct order of €2.5 million by a PN government in payment for attacking the Labour Party. The allegation turned out to be a complete fabrication and Kullħadd had already been condemned to pay libel damages to Daphne Caruana Galizia’s heirs, to Peter Caruana Galizia and to Andrew Borg Cardona. In fact, though this was not mentioned in the Appeal Court judgement, even Jeffrey Pullicino Orlando had been found liable for having stated the same lie in an older case. 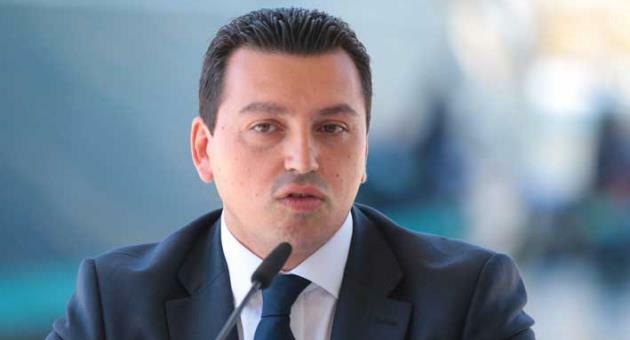 Aaron Farrugia was the only one to appeal from that decision saying he was only reacting to a campaign of attacks from Daphne Caruana Galizia against him and in any case he was repeating what Kullħadd had already published. The court today stated the fact that the lie had already been published does not diminish the responsibility of someone who repeats the lie. And it also told Aaron Farrugia he had in no way proven that Daphne Caruana Galizia conducted any form of campaign of attacks against him. Not that that would have been a good excuse to lie about her. The court also denied Aaron Farrugia’s request to reduce the €3,000 damages imposed on him in respect of Peter Caruana Galizia and Andrew Borg Cardona by the first court saying that €1,500 to each in damages can in no way be termed excessive. In a separate decision, Judge Anthony Ellul reduced the damages payable to the heirs of Daphne Caruana Galizia. In its judgement the court said that Daphne Caruana Galizia was a controversial writer and was harsh in her criticism. She was a public person that could expect public criticism of her. She would also have not been flustered by what Aaron Farrugia said about her. However, the court insisted, Daphne Caruana Galizia had a right to expect that lies about her would not be presented as facts, a right also enjoyed by the professionals attacked in this manner.